Every company has big and bold growth ambitions in any given economic condition. Senior executives are tasked to craft growth plans to cater to the demands of stake holders, hence they focus on creating the most optimistic corporate plan for their company. But specially in challenging economic conditions it is important than ever before to get your execution right. The research-proven fact is that 70% of the strategies fail at execution, which forces decision makers to be extra cautious about their execution strategies. However, it is also evident that the most successful companies are the ones which thrive in the uncertainties of the emerging economies. So how challenging is this process? First, having a close link between strategy and execution is critically important. Your strategy is the promise to deliver value: the things you do for customers, now and in the future, which no other company could do. Your execution occurs among thousands of decisions made each day by people at every level of the hierarchy. Above all, crafting and executing a business strategy in an emerging market is a challenging task — both for multinational firms from developed markets and for emerging market-based companies. Firms must not only decide what capabilities they will rely on for success, but also how to adapt and localise their business model and product market focus to suit both the operating context and local market need. Firms must also decide on which markets to enter, and how to translate existing capabilities. Careful choices in localising, adapting, and translating the firm’s approach can create enormous value. Capturing that value will require successful delegation to local employees, partners and suppliers, and in many cases, special attention to the local political and institutional context. For successful implementation, managers must evolve the strategy to meet the complex needs of the target market over time. According to the PwC’s Strategy+ Business magazine, “Quality, innovation, profitability, and growth depend on having an effective strategy and execution that fit together seamlessly.” If they don’t fit — if you can’t deliberately align them in a coherent way — you risk operating at cross-purposes and losing your focus. This problem is all too common. In a recent ‘Strategy&’ global survey, 700 business executives were asked to rate their company’s top leaders in terms of their skill at strategy creation and execution. Only 8% were credited as being very effective at both. It is a challenging task for every company and senior executives, but interestingly, enough companies who master the strategy execution create greater economic benefits for their stake holders even in challenging economic conditions. A business leader might seek to solve performance problems by making structural changes: reworking the org chart and rethinking incentives. The culture of the enterprise, if considered at all, is often seen as a hindrance. But companies that close the strategy-to-execution gap do it differently. They put their culture to work. They recognise the power of the ingrained patterns of thinking and behaviour in their company, and they tap that power to execute their strategy and foster performance. Develop a blueprint for executing your strategy in an emerging market that avoids common pitfalls and maximises a firm’s success. This two-day workshop will cover case studies on strategy execution in emerging markets of companies such as IKEA, LG Electronics, LOLC Microcredit and Uber. 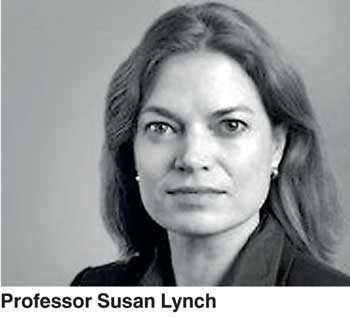 About the faculty: Susan Lynch is an Adjunct Professor of Strategy at INSEAD. She is an expert in strategy development and execution and has a PhD in Strategic and International Management from London Business School. At INSEAD, she teaches courses in strategy and strategy implementation to executives and MBAs. Susan also spent two years as a Visiting Professor teaching Strategy in Harvard Business School’s MBA program. As a Program Director, Susan supports INSEAD’s corporate clients in developing and executing learning programs with a strong strategy component. These programs help organisations build a consistent knowledge base of best practices in strategy development and execution. Many of these programs incorporate tailored experiences and business cases to ground the learning in the priorities and activities of a client’s business and involve application of tools to participants’ on-going business projects. Recent programs Susan has led or lectured in include, INSEAD’s Business Strategy for Human Resource Leaders, Syngenta’s Business Strategy for Syngenta Leaders, Eastman and Lord’s Strategy and Leadership program, International Flavors and Fragrance’s Mini-MBA program, Pernod Ricard’s strategy progam. Prior to her academic studies, Susan was a management consultant with McKinsey and Company for over seven years. Based in Sydney and then New York, Susan was an Associate Principle and leader of the North American Telecoms practice, consulting to multinational clients on issues of corporate and business unit strategy, business building and organisational change. Today, Susan is a faculty member of McKinsey’s global MiniMBA program, teaching strategy to McKinsey’s associates. Professor Lynch’s research lies at the intersection of strategy implementation and organisational change. Her work and teaching focus on how a company’s approach to strategy development and execution must shift over time, as a company grows and matures. Registrations are now open for the programme for limited number of seats, contact academy.srilanka@lk.pwc.com or 0770552524 for more information.